How Will a New Clock Keep Good Time Even in Deep Space? Navigating in deep space is tricky, particularly when you need to keep up interplanetary synchronised clocks. NASA is convinced we can do better with a new atomic clock they’re testing in orbit this year. Here’s how it works, as illustrated by an adorably consternated second hand. Then he handed his lecture off to a videotaped animated second hand, “Sammy the Second” to teach the principles of using time in navigation. This deep space cousin of Clippy is desperately unhappy at every pun. Sammy is dwarfed by the massive silhouettes of the Deep Space Network radio antennas, and tossed hopelessly whirling in a tribute to The Twilight Zone. 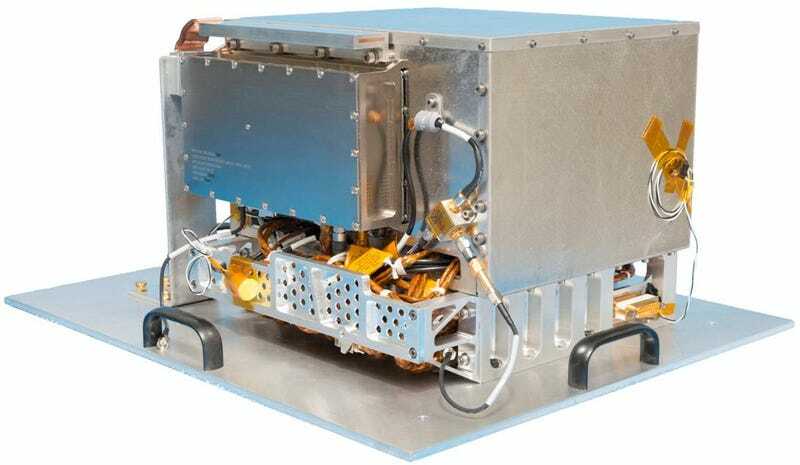 The Deep Space Atomic Clock is a project of NASA’s Space Technology Mission Directorate, a section dedicated to pushing the boundaries of what’s possible. The clock is designed to maintain time to within a nanosecond over a ten-day span, minimizing how often the clocks need to resynchronise. This increases navigation precision, frees up spacecraft to navigate autonomously, and reduces dependency on the Deep Space Network. Currently, most missions use ultra-stable oscillators with caesium ions. But these oscillators drift over time, getting out of synch with Earth. It takes up to eight hours linked to the Deep Space Network to resynchronise, wasting time for both the communications antenna and the spacecraft. 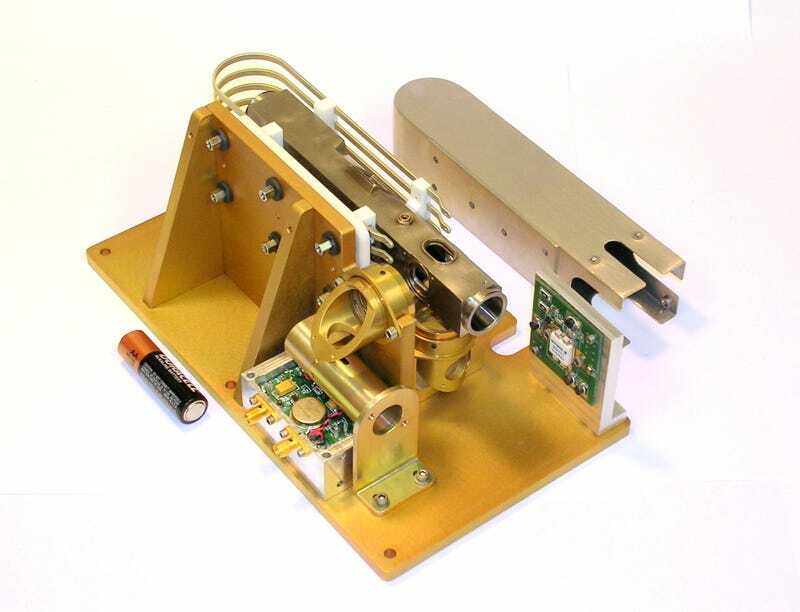 Now, engineers at Space Communications and Navigation have designed a new clock that uses mercury ions instead. The new clock is smaller, lighter, and more accurate than any other clock previously used in deep space. The clock is heading to space as part of the first flight mission of SpaceX’s new Falcon Heavy rocket next winter. The clock will stay in space for a full year to test its mettle in harsh space conditions, including variable temperature and heavy gravitational loads during launch. If everything goes well, future generations of this clock may find their way onto robotic missions to explore other planets. They could help with aerobraking accurately at Mars, or provide timing Europa’s tides to hunt for a subsurface ocean.